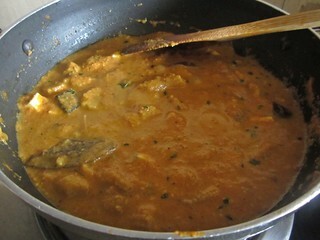 How often do you think about making dinner and decide on making chapathi and a second later keep scratching your head for side dish ideas?Well,that's the scene at our house most of the days as both me and Ajay love having hot phulkas for dinner provided we have a scrumptious curry to dip it with.I love making north Indian curries but refrain from making it thinking of the calories. 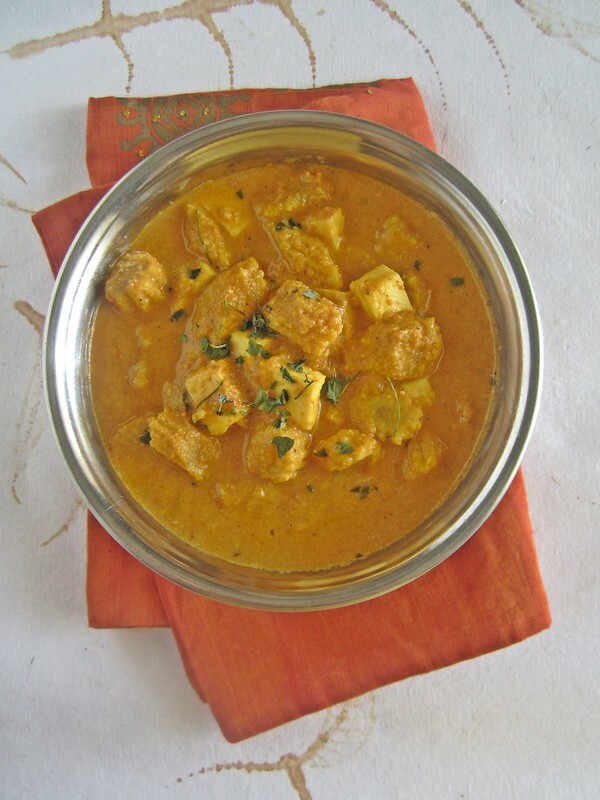 But there are many curries which taste delicious without adding copious amount of butter or ghee.I chose this as I had to finish up a packet of peeled Baby corn and half a block of paneer.I made this one a while back and have made it a few times ever since.You can add veggies of your choice,substitute Mushrooms in place of paneer or mixed veggies in place of baby corn,it's totally up to your palate. 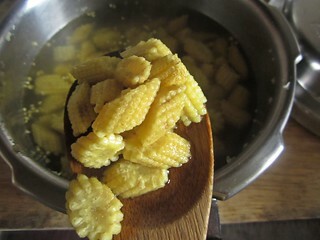 Pressure cook the baby corn for 2-3 whistles. 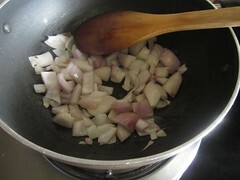 In a kadai,add 1 tbsp oil and saute the chopped onions. 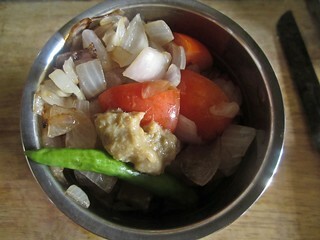 Grind the onions along with tomato,green chilly and ginger garlic paste. 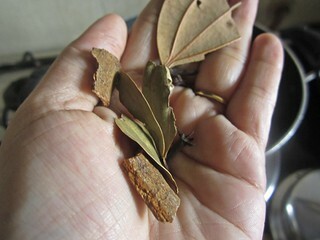 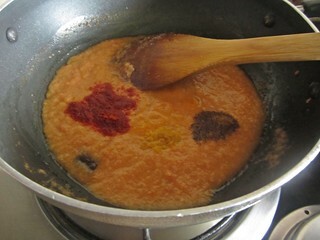 In the same kadai add the remaining 1 tbsp oil and saute the whole garam masala - bay leaf,cinnamon,cloves and cardamom. 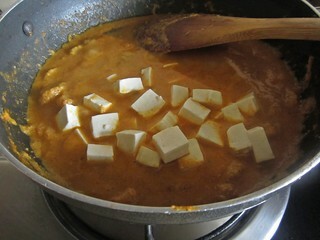 Mix in the masala paste and saute for 2-3 minutes. 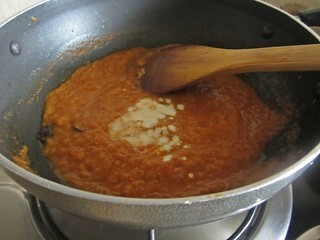 Add red chilly powder,garam masala and turmeric/haldi powder.Let the paste simmer for 6-8 minutes or till oil starts floating on top,stir occasionally. 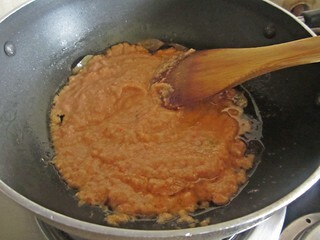 Mix in the cashewnut paste and stir well. 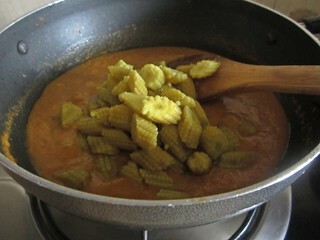 Add in the cooked baby corn,salt to taste and add water/milk little by little till you get a smooth,thick gravy. 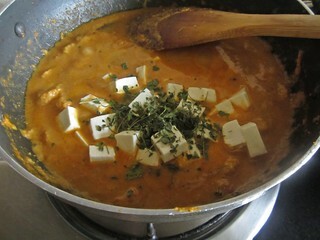 kasoori methi and let the curry come to a soft boil. 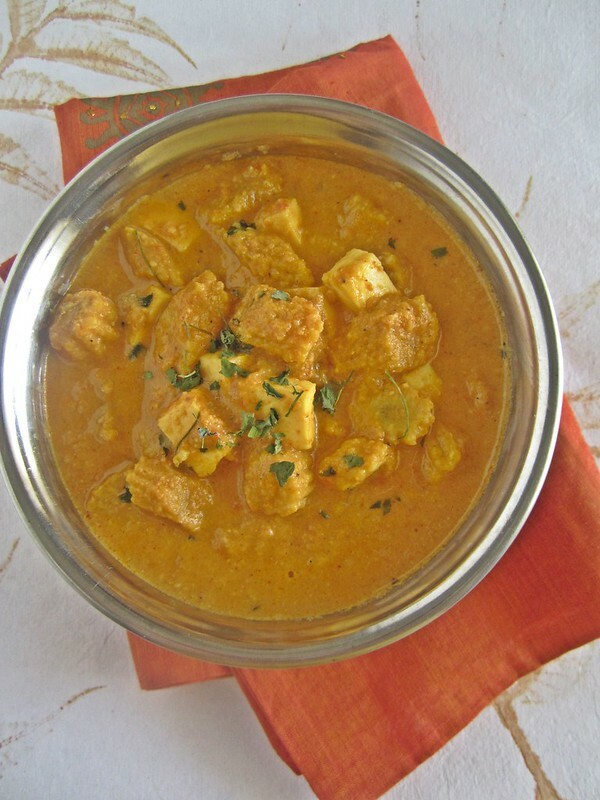 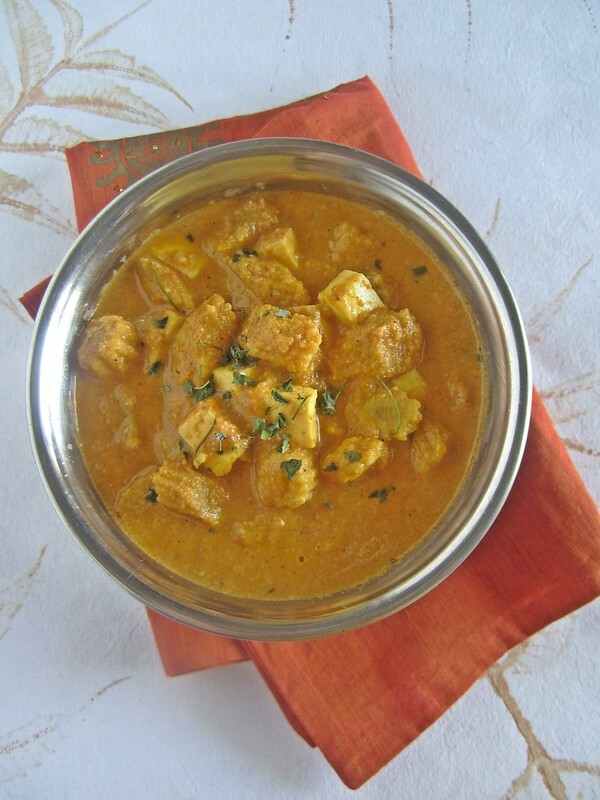 This curry goes well with phulka,naan and pulao.